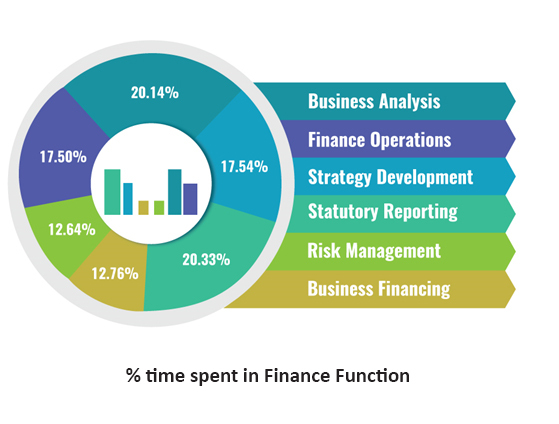 Charted global management accountant (CGMA) focuses as much on business management as on accounting. It is especially useful for commerce graduates looking for non traditional accounting roles. 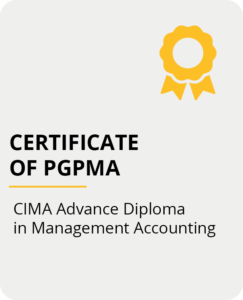 PGPMA is the most cost and time effective route to CGMA qualification by CIMA. Proschool offers PGPMA in Pune, Mumbai, Navi Mumbai, Thane, Delhi, Gurgaon, Hyderabad, Bangalore, Chennai, Kochi. 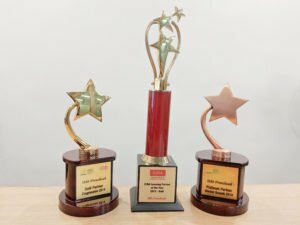 Winner of Best Learning Partner, Platinum and other Awards by CIMA India. Mock exams & Case study exams with faculty feedback. What are the Jobs opportunities after PGP in Management Accounting? A person completing PGP in Management Accounting can work as a Financial Analyst, Business Analyst, Treasury Manager, Financial Reporting Manager, Management Accountant, Cost Accountant, and Project Finance etc. IASB: Extant standards of the IASB, The use of IFRS around the world, The IASB roadmap, The annual IASB bound volume and its use. What study resources are available for PGPMA course? IMS Proschool recommends, Kaplan reading material to its candidates. The candidates may refer to the books for revision and practice questions. Workbooks for each subject have been designed in case study style and a pre-seen for the same is available in the workbook. There is a case study type question for each chapter in syllabus with model answers available for student reference. If a candidate due to any reason is unable to attend class, he/she can refer to these online videos made by our faculties for training purposes. For every class we have a presentation on our learning management system. The candidate can view these presentations any time. It serves as an effective revision tool to the candidate. Sample exam papers give the candidate an idea of how and what questions can be asked in exam. How is the PGP MA time effective? The regular route to complete the CIMA Professional Qualification requires a person to clear 16 exams. This route takes at least 2.5 to 3 years. In comparison, if a person successfully completes the PGPMA, he/she just has to clear 5 exams which can be done in 1 year time. PGP Management Accounting is the fastest way of doing CIMA, but does this mean that it compromises with the knowledge gained at the Operational & Management level exams? The syllabus of PGP Management Accounting is devised after taking into account the syllabus of Operational & Managerial levels. The learning and testing pattern for the PGP MA program will be on similar lines as that of CIMA qualification. This learning and testing pattern is aimed at preparing candidates for the Gateway Assessment Exam. What if I am able to complete the PGP MA but not clear the Gateway Assessment Exam? Does Proschool provide any job assistance for PGPMA qualified students? In case the candidate schedules his/her interview and there is a no-show from his/her end twice, the interview with the company then IMS Proschool shall suspend his/her Job ID. PGPMA is fastest way of doing CIMA, but does that imply that it compromises with knowledge gained at operational & management levels? How is the PGP in Management Accounting different from the CIMA Professional Qualification? If you are a Commerce graduate or in the final year of your graduation, then you have to appear for 10 exams in order to become a CIMA Qualified Professional. PGP Management Accounting provides you another route to pursue the CIMA: After 9-months of PGP MA you only have to write 5 exams instead of 10 exams. Moreover, PGP Management Accounting also provides you professional edge by giving you training on Microsoft Excel, Project Finance and Communication skills, which are not a part of the regular CIMA syllabus.